Navratri is one of the most prominent festivals in India. One of the states where the festival is seen being celebrated with a lot of pomp and show is Gujarat. 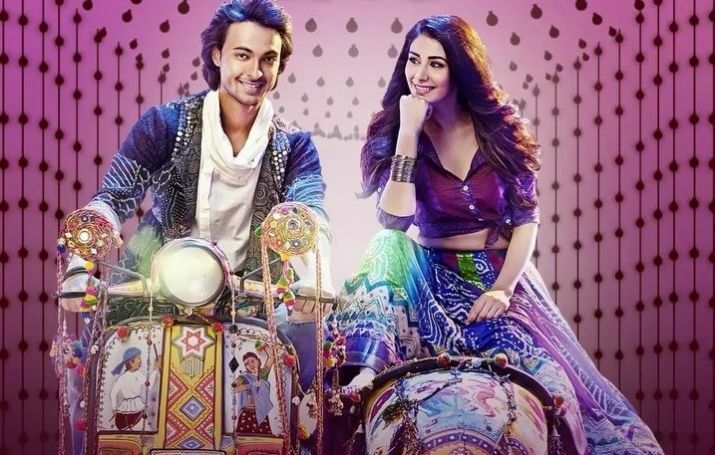 Before a certain controversy erupted, the title of the film was ‘Loveratri’ which implied the fact the protagonist falls in love and tries to woo the heroine during this festival. Now, the film is called ‘LoveYatri’ which is supposed to justify the fact that he travels all the way from Baroda to London to find out if he stands at any chance to win her heart. Sushrut (Aayush Sharma) has never really been good at his studies and the only ambition he has in life is to open his garba (a dance form which has its origins in Gujarat) academy someday. He whiles away his time with his friends Nagendra aka Negative (Prateek Gandhi) and Rakesh aka Rocket (Sajeel Parekh). During the first night of Navratri celebrations, he sees Michelle aka Manisha and is besotted by her beauty. Sushrut, with the help of his friends and uncle (Ram Kapoor), comes up with a plan to woo Manisha. The plan works and he succeeds in befriending Manisha. When Manisha’s father (Ronit Roy) gets to know about their friendship, he asks Sushrut to stay away from Manisha and also gives him a piece of information about her which hurts him. The screenplay, written by Niren Bhatt, offers zero novelty. The plot is too simple and every turn and beat in the narrative can be guessed from a mile’s distance. The love story rests on a wafer-thing conflict which should have been resolved much before than it is done. Debutante director Abhiraj Minawala explores the milieu and cultural nuances associated with Gujarat pretty well. The characters, too, are fairly memorable. The script, undoubtedly, is the biggest culprit here. Despite the setting of the film being fairly interesting, you end up getting old wine in a new bottle. As a writer, Bhatt fails to bring anything new to the table. There are a couple of scenes that do have some spark. The scene in which Ram Kapoor cites the examples of films done by Shah Rukh, Salman and Aamir to advocate what love means for Indians is nice. Then, there are a few scenes, like the one in which Sushrut applies for a visa, which are just cringe-worthy. Aayush Sharma is quite raw and has a long way to go before he can be taken seriously as an actor. He looks blank in several scenes and his diction and dialogue delivery, too, needs a lot of work. Warina Hussain looks lovely and acts fairly well. Her flawed Hindi diction works to her advantage here. Prateek Gandhi, a prominent name in Gujarati cinema, seems to be getting stereotyped as the hero’s Gujarati friend. Sajeel Parekh is expected to be over-the-top and he does well in that regard. Ram Kapoor gets a couple of good scenes to shine. Ronit Roy gets limited scope but does well as always. ‘LoveYatri’ is a formulaic film which does not give you much to complain about. The film moves at a brisk pace and there are several moments which keep you invested in the proceedings. But, the prosaic screenplay does not give you enough reasons to make this film your first choice this weekend.